Sixteen years ago I contributed an editorial to the South African Journal of Science with the same title as today’s blog. In paraphrasing Shakespeare’s Hamlet, I explored a tricky issue, one that continues to place many of us on the horns of a delicate dilemma: if we invent something with significant commercial potential, should we fulfil the legal obligation to our employer and apply for a patent, or should we share the idea with the wider public and make it freely available? Carestream, which was Kodak’s medical imaging division, believes there are two ways to measure innovation: patents and industry recognition. In 2016 they were awarded an impressive 43 new patents by the United States Patent and Trademark Office (USPTO) – plus an additional 52 patents in European and Asian countries – for innovations in medical image capture, cone beam CT and healthcare IT. Last year their Onsight 3D Extremity scanner used in orthopaedics received an Aunt Minnie award for best new radiology device, and was also recognised by Frost & Sullivan with an award for new product innovation. A patent not only provides a company with protection from competitors, it also allows the company to determine the price of its product. 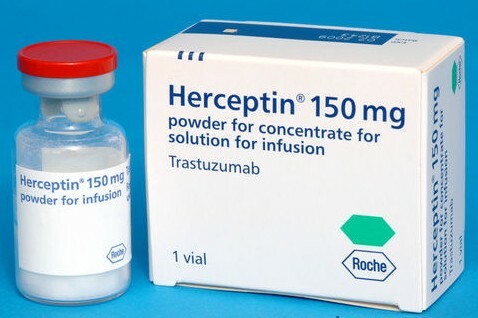 The Swiss pharmaceutical manufacturer Roche owns the patent for the breast cancer drug trastuzumab – also known as Herceptin – and in South Africa a year’s supply costs at least $15,000. At that price the life-preserving drug is beyond what most women can afford, while many health insurance companies deny coverage. Fortunately, the World Trade Organisation makes provision for biosimilar drugs to be produced, particularly when lives are at stake, and so we can expect a legal challenge to Roche’s monopoly, a strategy that recently succeeded in India. At CapeRay we believe in the power of the patent, but we also recognise that our products should be affordably priced and widely available to women from all walks of life. Good stuff, Kit, though Shakespeare might shake in his grave. Your last line is what we want to hear, as this might force Roche to think again. It is my understanding the CapeRay has recently been issued a patent for the 3D-ABUS mammography machine, that in my opinion will ultimately replace all others. Reason being, that this machine will be able to detect up to 95% of breast cancers in women with or without dense breast tissue. Harvard Radiology Professor Daniel Kopans, the original inventor of DBT, and a world authority on breast imaging, is most anxious to liaise with Prof. Kit Vaughan to create this incredible machine with Dr. Kopans being part of its development. The new DBT-ABUS system would make it technically much easier for the radiologist to read images and reduce possible diagnostic errors. It would also enable the detection of more cancers at an earlier, curable stage, particularly in women with dense breast tissue. With just one visit there would be far less anxiety while waiting for results. This would be less expensive than two consecutive visits. Have you any idea how many women’s lives this will save? World Health Organisation should use its funds to buy the licenses to produce innovative drugs in name of the human people. Then all the countries will product at low costs these life saving means to give people affected by the diseaes. I really enjoy reading your blog, I just don’t know where you get the time to write it. Until recently I was not in favour of patents but currently I advise entrepreneurs to file for a provisional patent.